The FEIS is being posted on the Web for informational purposes only--the pre-decisional objection period does NOT begin at this time. Coronado National Forest Supervisor Jim Upchurch requested the FEIS be posted on the Web to allow the public ample time to review the document. As part of the FEIS appendices, the project website links will include the Biological Opinion, the Memorandum of Agreement regarding the adverse effects on historic properties, and the response to comments from the draft EIS public comment period. The Forest anticipates that on December 13 the Notice of Availability for the FEIS will be published in the Federal Register, which will be the official release of the FEIS. Then, on December 15 a legal notice of the opportunity to object to the proposed project will be published in the newspaper of record (Arizona Daily Star). Publication of the legal notice anticipated on December 15 officially initiates the 45-day objection period to begin on the day after publication. All documents including the draft Record of Decision will be available at that time on the project website, www.RosemontEIS.us . Information on the objection process is posted on the project website and will be noticed in a future news release. The USGS reports a magnitude 3 earthquake last night (Nov. 22) at about 10:32 pm, 25 miles NNW of Grand Canyon Village. Public meetings on Arizona’s Master Energy Plan have now been scheduled for Tucson, Phoenix, Yuma and Flagstaff. 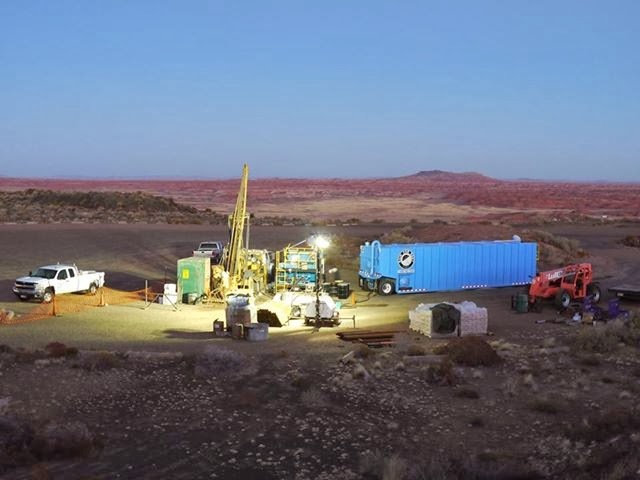 The Park opposes core drilling in the Park by exploration companies looking at the potash resources that underlie the region. As park paleontologist Bill Parker notes, the Park Service supports scientific research that furthers the scientific and educational value of the parks. Federal law prohibits mineral leasing and new mining in or under park lands. new study from Arizona State University (ASU) conducted by the L. William Seidman Research Institute, part of the W.P. Carey School of Business. AMA says the study concludes that "copper mining is one of the top ten economic base industries in Arizona." "The average mining employee income in 2012 was $99,500 per employee which is twice the average labor income per worker in the state during the same time period,” said Kent Hill of the L. William Seidman Research Institute at ASU. 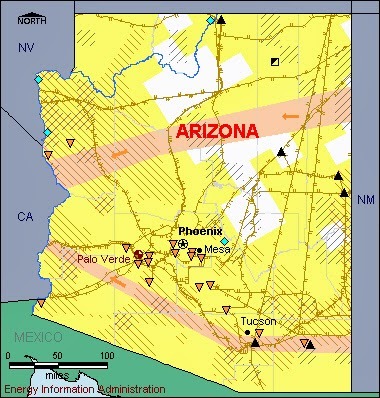 The report further states that "Arizona mining companies and their employees pay three and a half times more taxes than does the average business in the state, according to the study, and found that mining companies paid $206 million in business tax to Arizona governments and their employees paid an estimated $93 million in individual taxes. That’s an average of $17,000 in business taxes per employee, compared to $3,000 average per worker paid by all businesses. Mining workers paid an average of $7,700 in individual taxes, compared with a statewide figure of $3,900 per employee for all other businesses."